>> Eliminate the clutter and waste of space created by documents, books, images and other materials you do not need to retain physically. Just consider the number of forms or documents that you can legally destroy if you have digital copies. Also,consider the safety and longevity of historical documents that could be converted and then put into archives elsewhere. >> Ensure optimal safety and security. No office or space is safe from fire, flood or disaster. Keeping everything in hard copy on the premises can lead to disaster. Offsite and cloud-based digital storage is the answer. >> Save time by enabling fast and easy digital searches. 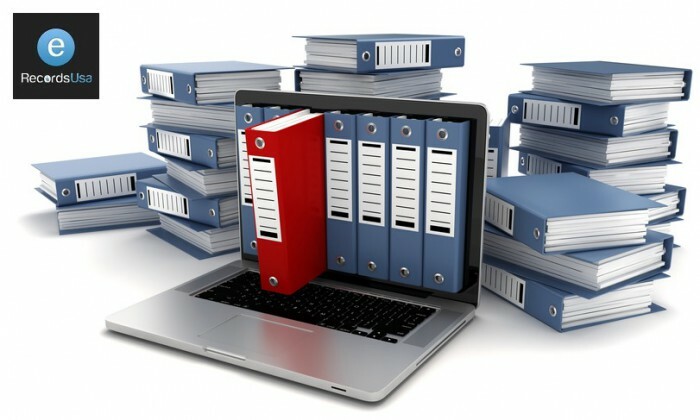 When you convert bulk numbers of files, you can organize them and easily share, access and use them without digging through paperwork or heading into a physical archive. No matter what you need in the way of document scanning and imaging, you can find comprehensive options at eRecordsUSA. We pick-up your materials, provide high-quality scans and files in multiple formats and can return or destroy documents as you need. With cloud storage of your files after large volume document conversion, you can save time, space, money and effort, streamlining work and protecting important originals. eRecordsUSA is specialized in providing Document Scanning Services, Document Imaging, Blueprint Scanning, Document Digitizing, Document Archival, Document Archiving and more. Would you like to receive a free quote for Large Volume Document Conversion Services? Call +1.855.722.6669 or eMail us at info@eRecordsUSA.com.